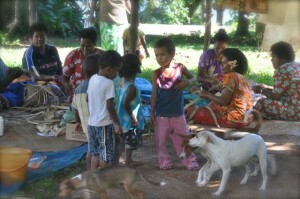 Village life in Fiji, especially on the outer islands, is as it was years and years ago. The most significant western change lately has been the use of the mobile phone. A related blog where we discuss the economy of knowledge is here. Other than that, there is still no mains electricity, families have very few material possessions and the rich community spirit is largely unchanged. 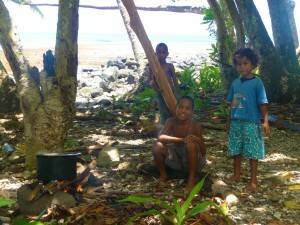 You can read more about Fijian culture here. 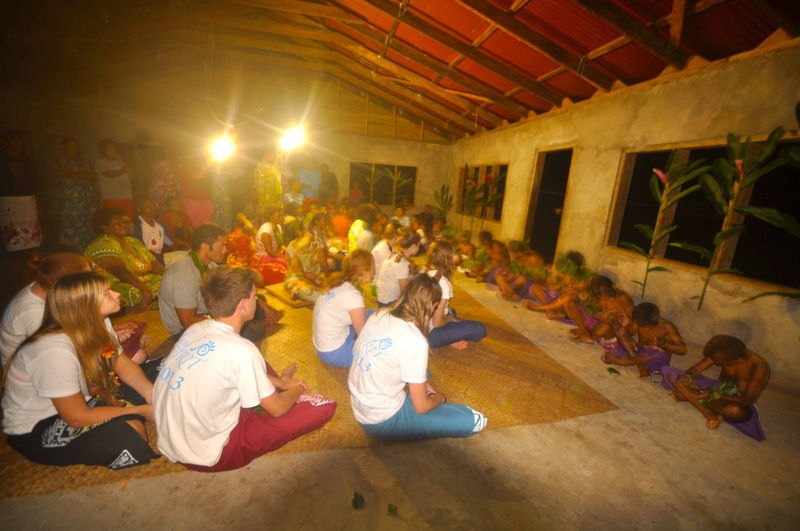 The sevusevu is the official welcome ceremony used by villages throughout Fiji. It gives the Chief and Headman a chance to meet everybody personally and invite them to join the village life as they do it. Our escapes are specifically designed for you to have a taste of this way of life, a life that close to half the worlds population is like – living off less than $2 per day. I know these people personally and don’t know if their way of life is officially classed as poverty but I do know that we can benefit from them ust by experiencing their way of life for a short time. In turn they benefit from your stay – we pay them $FJD60 per person per night, double the average hostel rate. Chatting and sharing stories is a huge part of rural island life. Gossip is even known as coconut wireless! Your host family will always ask lots of questions about your way of life back home, what beliefs you have and challenges you face, they are surprisingly aware and knowledgable of international ways of life. Staying in a village can be shock at first, but we hope that after a day you will have adopted the contagiously slow pace and indulged in the essence of island life. You will get the most out your experience by quietly absorbing your surroundings and doing what the villagers do. It may even change your own life in a small way. A lot of the traditional ways of life are outside. Kitchens in the village are often in a shack outside the main building. Pre-school children often play in the village during the day while their mothers cook, clean and (more often now) make handicraft to sell. Island Spirit guests fund a new women’s handicraft project called ‘Tadra Arts and Crafts’ designed to help women sell their goods abroad.